The first to be ‘infected’ by the LMP Q&A BUG in 2016 is Dr. Stefano Serra, Gastrointestinal Pathologist. The nomination came from our previous Q&A BUG ‘victim,’ Dr. Ivan Blasutig. Check out Dr. Blasutig’s photo Q&A, HERE. As an anatomical pathologist sub-specializing in gastrointestinal pathology, Dr. Serra helps in patient diagnoses by examining tissue samples under a microscope and looking for abnormalities at a cellular level. The majority of tissue samples Dr. Serra receives come from the liver, gall bladder, colon, or pancreas. In addition to diagnoses at the University Health Network, Dr. Serra will also examine and review patient samples from our various partner sites, one of which is Timmins District Hospital. Dr. Serra’s role in Timmins also involves regular visits where he will make diagnoses on-site and check on the pathology work being done there. Though Dr. Serra’s primary focus is on clinical care, he also dedicates time to research and improving clinical practice. He is one of the 50 plus pathologists working at UHN’s Laboratory Medicine Program, and plays an essential role in many patients’ hospital visits. To learn a little more on the personal side of Dr. Serra, check out his photo Q&A below. 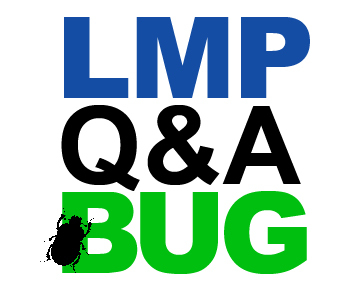 Make sure to read to the end to find out who’s next to be ‘infected’ by the LMP Q&A BUG. It could be you! Have a common interest with Dr. Serra? – Share it in the comments section! How Fargo is a great show, but no spoilers please!